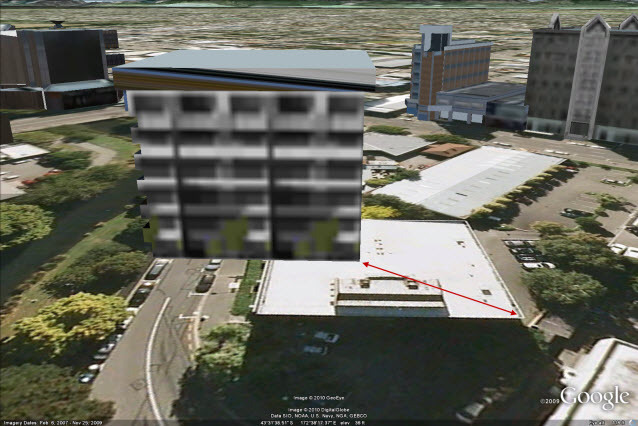 We have some good news to share with respect to 3D buildings and Google Earth imagery. 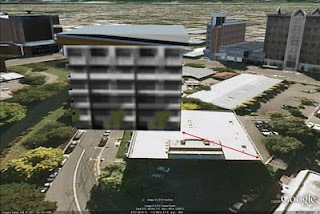 A common challenge for geo-modelers are imagery updates that occur after a building model has been published to Google Earth. In some updates models were unaffected, but in others, models became misaligned (some significantly). We appreciate the fact that our enthusiastic geo-modeling community prefers to spend their time creating buildings instead of chasing imagery around. Our engineers have been hard at work solving this problem. Very shortly we'll be running a program that identifies models that have been affected by imagery shifts, and automatically adjust them. The earth is an imperfect place so it’s possible, that not every building will adjust perfectly. However, our testing suggests that this new system of tracking imagery updates should help immensely. This new feature will work both retroactively and into the future. You can be rest assured that we’ll be trying to keep your models aligned properly going forward as our imagery is updated. If your model was affected by this process you'll see a notification on your model details page. The notification will indicate whether we were able to automatically adjust the model or not. In either case, we encourage you to review your models in the Google 3D Warehouse to see whether any action is required by you. We apologize for the inconvenience that this issue has caused and hope that this system improvement will be met with much user-happiness. seems like a step in the right direction but what about fixing imagery based on object location (so the other way around)? in my city one satelite image is misplaced what leaves me with no option of uploading 3d buildings since I use them with my own overlays. Good to see this improvement!! The imagery represents the "most true" element of maps or earth. When it shifts it is because the new imagery is more accurately positioned. Products like map maker use imagery as the base for everything that is added to the map. nice idea! I have more than 50 models shifted, Can't imagine have to upload them again just to update the correct position! But now no worries.. This is good news, is a good way to change it. I've also got a few shifted models, I wonder how it will work out. Can someone from Google look into what's happening in Spokane, Washington? Our imagery was "updated" last summer (August/September ish), with simply a recolored version of old imagery that dates back to 2006. During this "update" the imagery got shifted about 40 feet to the east. There is no way that this imagery is "more accurate" than the old, as "bryce" said above. Even the roads layer and the street view icons are still positioned where the imagery should actually be. Can someone from Google please investigate this an correct this inaccurate/false update imagery misalignment? It's been almost a year. Is there any way to trigger this adjustment for a specific model? The reason for this question is the fact that I plan to position a new model next to an existing one, which apparently has been shifted by approximately 10m to the north. Would I have to position the new model to the apparent best location on the map or should I locate in relation to the adjacent model?